Every year, across our country's roughly 140,000 miles of railroad track, more than 2,000 rail grade crossing collisions occur due to inadequate warnings, malfunctioning or inadequately maintained crossings and guards, negligent train operations, and other safety violations. Like roadway accidents involving commercial trucks, any automobile accident involving a train often results in horrific outcomes. Determining who may be held liable can be a challenging process. 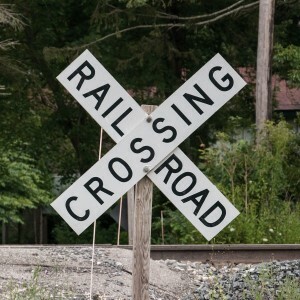 Having attorneys experienced in railroad negligence is essential. The Nash & Franciskato Law Firm in Kansas City offers you a distinct advantage. Having worked 15 years with two national railroad companies, attorney Dean Nash brings valuable experience in handling litigation involving train accidents and the safety of railroad crossings. Couple that with the legal team’s knowledge about the extensive regulations governing train operation and railroad crossing maintenance and you have the experienced legal team you need. Determining whether you have a valid personal injury or wrongful death case after a railroad crossing accident can be a complex endeavor. Oftentimes, these accidents require substantial factual investigation and expert testimony. When we need experts to build your case, our nationally respected lawyers have access to an extensive network of key experts, including former high-level railroad employees and audiologists able to testify on sound levels and a driver’s ability to hear warnings or other sounds. Contact our attorneys in Kansas City for a free, no-obligation evaluation of your case. Our compassionate lawyers and staff will listen to you and offer guidance based on your situation.